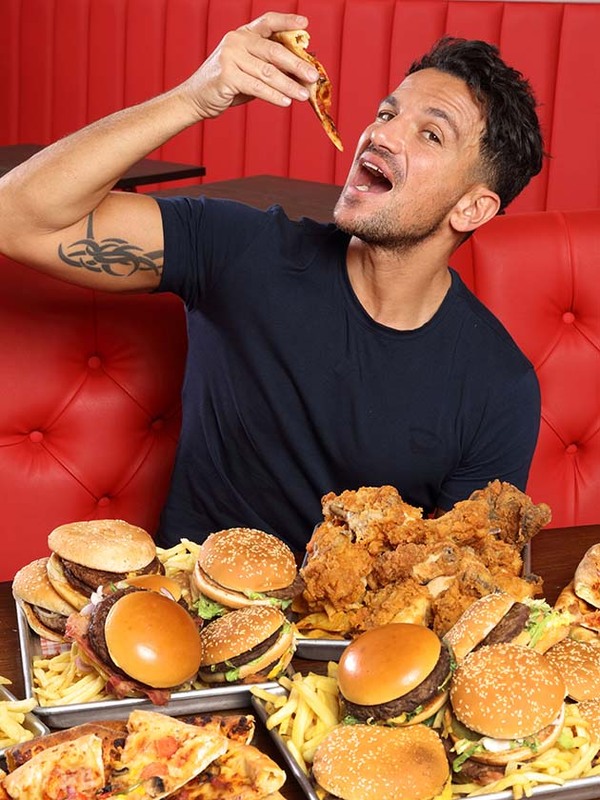 Peter Andre recently took part in an experiment where he ate nothing but fast food for three weeks straight. Taking part in ITV’s Junk Food Experiment, the 46-year-old binged on pizza, burgers chips and fried chicken in order to demonstrate the dangers of unhealthy eating. But as well as gaining a whopping half a stone in just seven days, it turns out Pete suffered a rather unexpected side effect when he took part in the challenge. 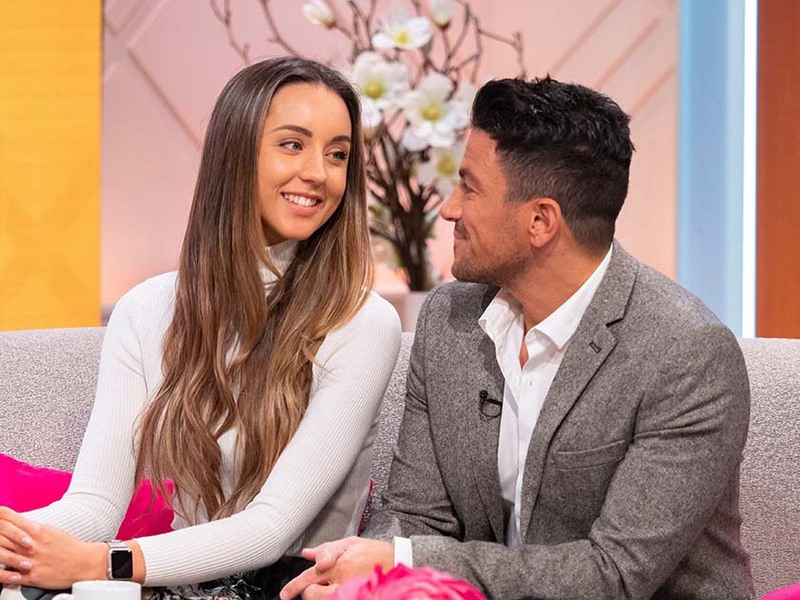 While filming for the show, Peter’s wife Emily, 28, revealed he ‘smells in bed’ thanks to the new diet. ‘He’s basically been banned from the living room because he stinks way too much from all the burgers this week,’ she told cameras. However, the doctor – who shares Amelia, five, and two-year-old Theo with Pete – did admit she likes a chocolatey treat herself on an evening. 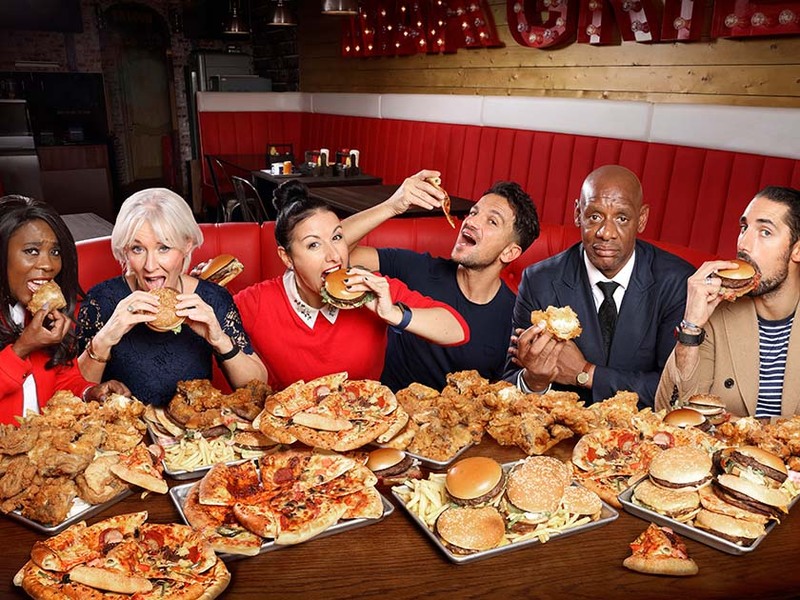 Peter was joined by celebs Shaun Wallace, Nadine Dorries, Hayley Tamaddon, Tess Sanderson and Hugo Taylor for the Junk Food Experiment who also signed up to spend 21 days gorging on junk food for breakfast, lunch and dinner. Speaking about the challenge, the star – who is also dad to Junior, 13, and Princess, 11, from his previous marriage to Katie Price – admitted he puts more emphasis on exercise than his eating habits. 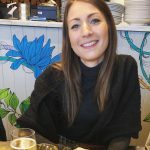 ‘I’ve always believed that we should always focus on activity rather than what you eat,’ he said.